« Brown Bag September 12th 2018! 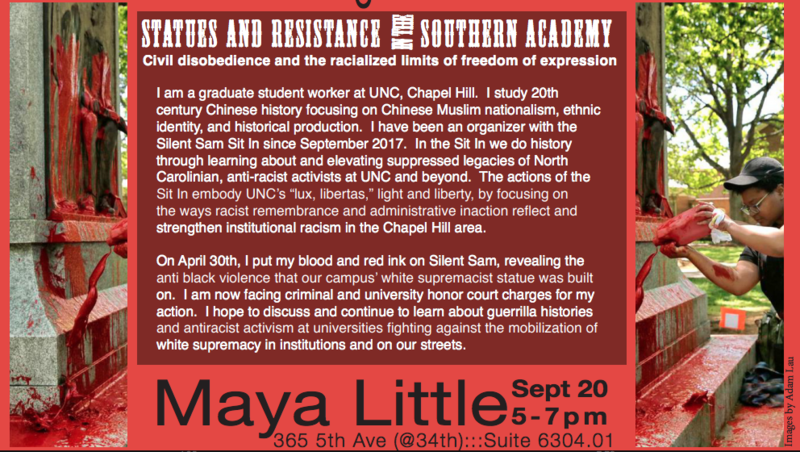 Please join us as we congratulate Maya Little for receiving the Public Science Project Racial Justice Higher Education Award! To see the full event’s poster, click here ^ ! 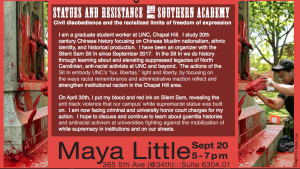 Maya Little will be joined by CSP Loren Cahill (Critical Social and Personality Psychology), Todd Brown (Environmental Psychology), and Urban Ed Brian Jones (Urban Education).